Those that suffer from the effects of tinnitus typically experience intrusive ringing or buzzing that occurs without any external cause; this can take place occasionally or in more severe situations it can be quite debilitating to deal with as it is constant. So what is tinnitus exactly? 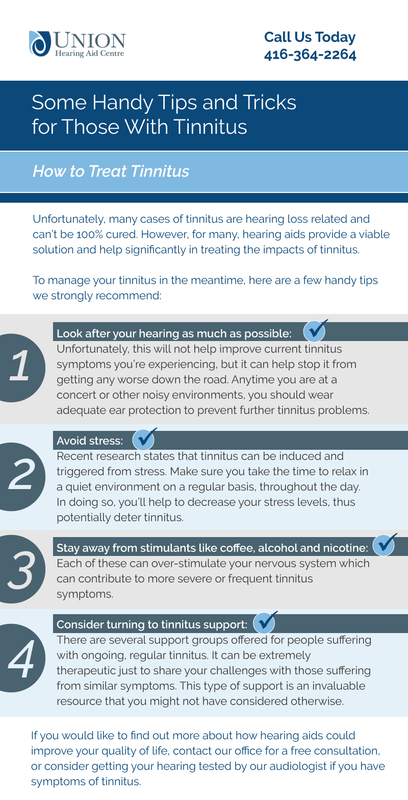 Tinnitus is an indication of an internal hearing problem, usually connected to inadequate communication between the inner ear and auditory cortex. Some tinnitus cases can be treated if they are linked to a temporary infection or illness. If you have concerns in regards to tinnitus, please get in touch with Union Hearing Aid Centre to speak to our audiologist for direction.